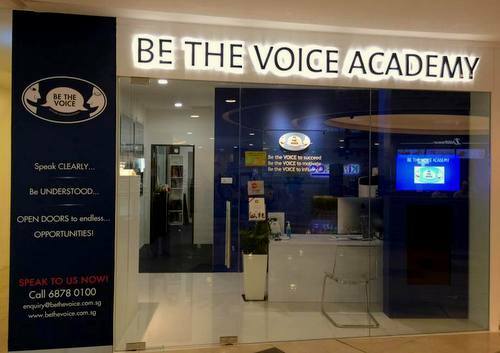 Be The Voice Academy operates within Singapore’s Alexandra Retail Centre, at 460 Alexandra Road. Founded in 2013, Be The Voice Academy is a presentation skills training centre, coaching clients to use their voice to enhance presentation skills, giving the ability to convey thoughts, ideas and feelings more powerfully, and with confidence. The centre guides students on the art of speaking well to score for their school oral examinations and project work presentations, with their DSA interview skills, as well as LAMDA and Trinity Guildhouse examinations for spoken English. Clientele for the academy includes individual adults, students from 6 years old onwards, multi-national companies, plus small and medium enterprises. The official BeTheVoice Facebook brand page is located at www.facebook.com/BeTheVoicePteLtd/. Following the Facebook page, you’ll get updates about the company’s upcoming programmes & events, their workshops, examinations, plus more.